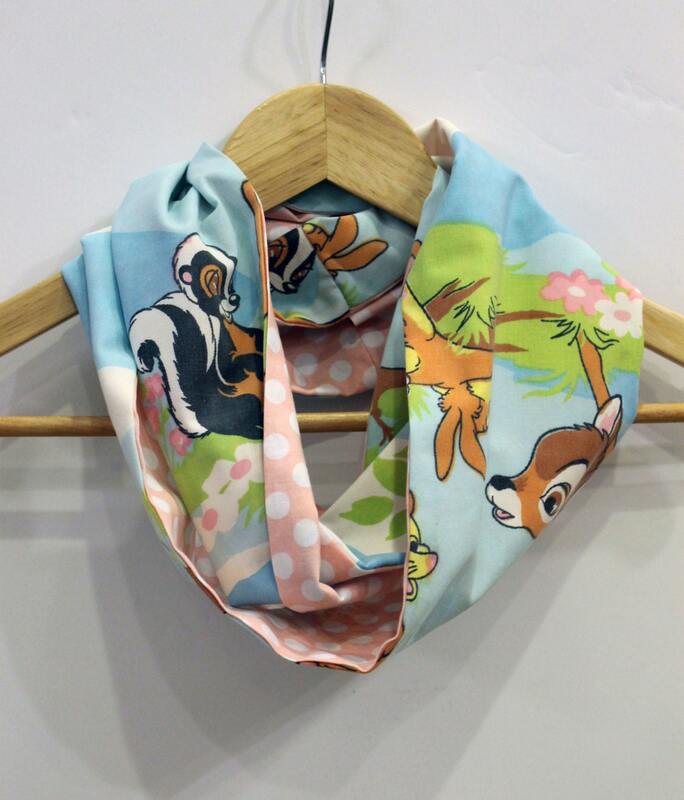 Show your childs love for the Disney classic movie "Bambi". 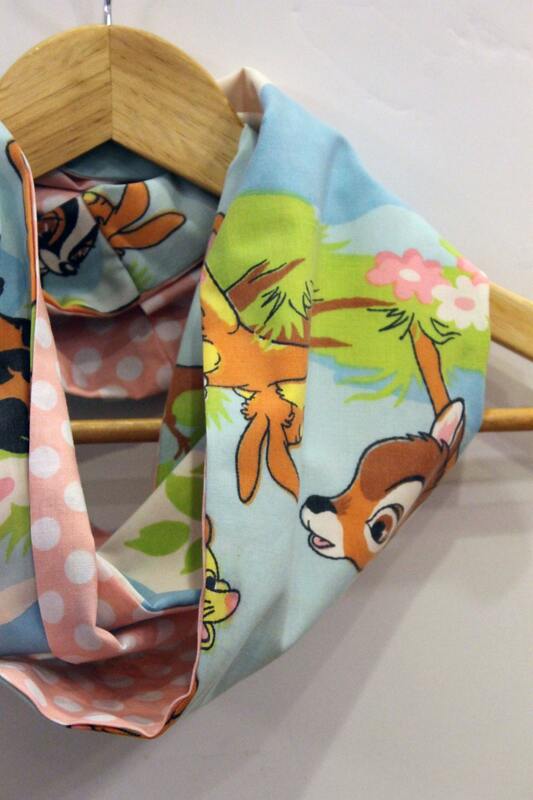 This scarf feature a vintage Bambi fabric on the front and a coordinating pink polka dot on the back side. 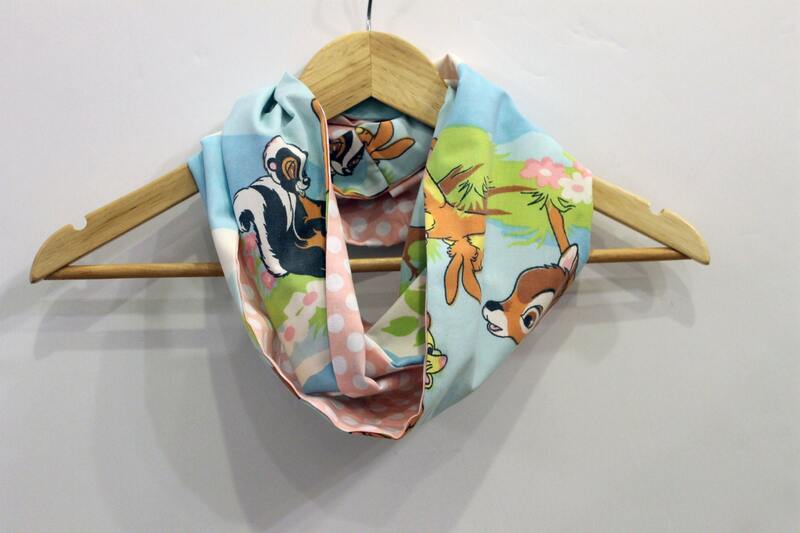 The fabric used to make this fun scarf came from a vintage bed sheet that has been upcycled. This is perfect gift for the eco-conscious shopper. This scarf has been hand made in the US and all stitches are hidden. Fabric is a cotton polyester blend. 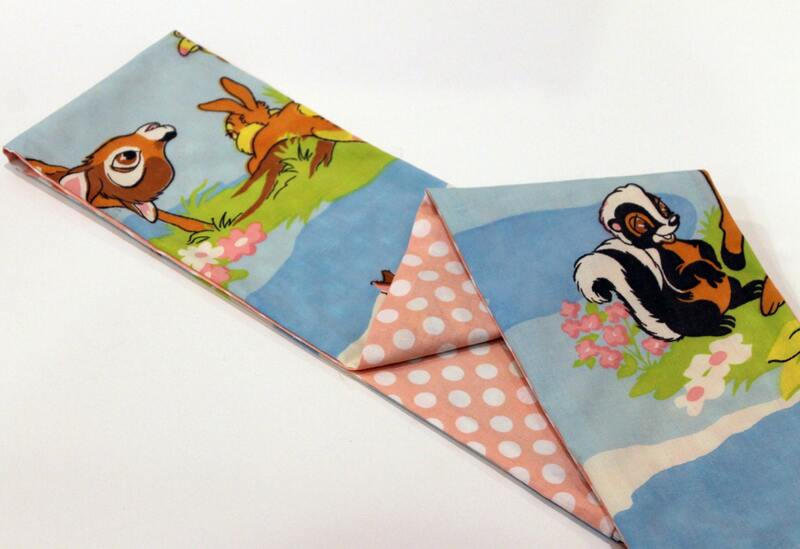 All our upcycled fabrics have been washed and inspected before use.